These presentation slides 39525 are complete compatible with Google Slides. Simple download PPTX and open the template in Google Slides. 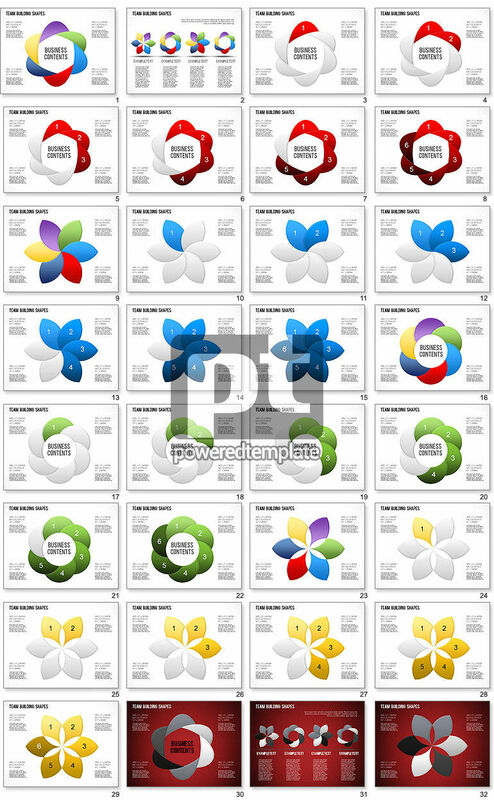 Enjoy this adorable Team building Shapes Collection template created in a modern colorful style and dedicated to team work, team building, success and so forth. It has multiple colorful flower shaped parts for your information. This incredible sample may be used in all spheres of business, media, etc. – everywhere with teams and leaders, so be sure you’ll get through the audience and gain success.